A rainy night. An empty highway. And no memory. From award-winning author Tim Wynne-Jones comes a riveting murder mystery that will keep readers enthralled until the last page. On the night Donovan Turner is thrown out of a car on a highway in the middle of nowhere, he can barely remember his own name, let alone the past twenty-four hours. Where is he? Where is his girlfriend, Bee? In an attempt to flag down the next passing car, he startles the driver, causing a fatal accident. With sirens in the distance and the lingering feeling that he's running from something — or someone — Donovan grabs the dead driver's briefcase and flees. Meanwhile, Bee is fighting for Dono's life every bit as much as he is. But when the police show up and hint that he is the prime suspect in a murder, Bee is determined to put together the pieces of what happened and clear his name. With echoes of Dante's Divine Comedy, this harrowing journey through hell and back is a page-turning tale of guilt, retribution, love, and redemption. 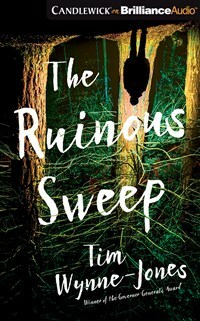 Tim Wynne-Jones is the accomplished author of numerous young adult novels, including The Emperor of Any Place, Blink & Caution, The Uninvited, and The Ruinous Sweep. The Starlight Claim revisits the site of (and some characters from) his acclaimed novel The Maestro a generation later. In 2012 Tim Wynne-Jones was named an Officer of the Order of Canada for his services to literature. He lives in Ontario, Canada. - Tim Wynne-Jones is the accomplished author of numerous young adult novels, including The Emperor of Any Place, Blink & Caution, The Uninvited, and The Ruinous Sweep. The Starlight Claim revisits the site of (and some characters from) his acclaimed novel The Maestro a generation later. In 2012 Tim Wynne-Jones was named an Officer of the Order of Canada for his services to literature. He lives in Ontario, Canada.